Rado has just announced four new HyperChrome timepieces that will be unveiled at Baselworld next month. The new HyperChrome Automatic Small Seconds comes in a 42 mm x 48.4 mm x 10.8 mm case and is powered by an ETA 2895-2 automatic movement that runs at 4 Hz, has 27 jewels, a 42-hour power reserve, and a black oscillating rotor. 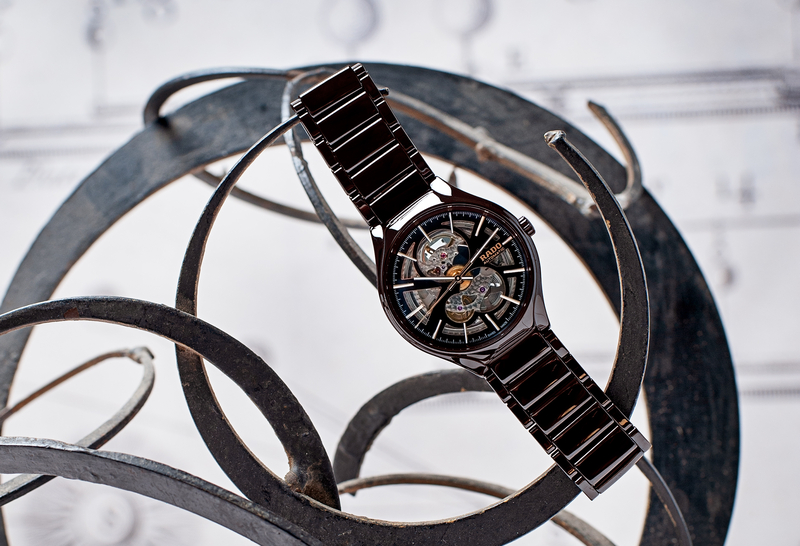 Three of the models are available in Rado’s high-tech plasma ceramic material, and one in a matte black ceramic. 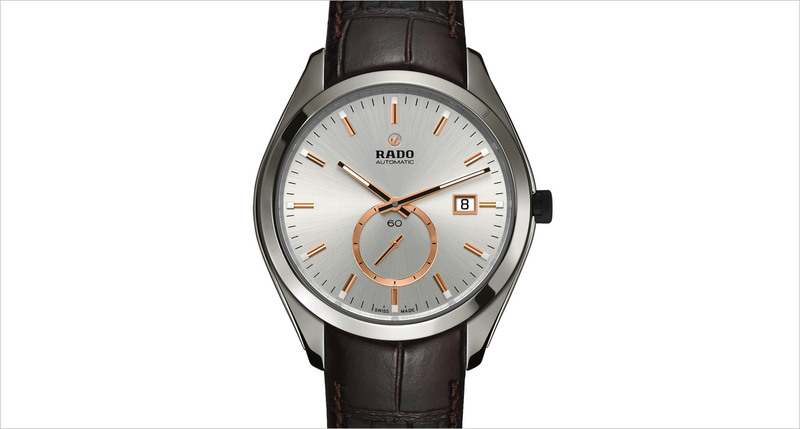 According to Rado, “Plasma high-tech ceramic has a brilliant metallic shine in a warm grey tone, without using any metal.” Each watch has a curved sapphire crystal with a double anti-reflective treatment, and an exhibition caseback. Water resistance to 100 meters. Price is not set but is expected to start at $3,200. Ref. 609.0023.3.015 black matte ceramic, monobloc construction, polished rose gold colored PVD coated stainless steel side inserts, black matte ceramic bracelet. Ref. 609.0025.3.015 plasma high-tech ceramic, monobloc construction, polished stainless steel side inserts with hardening treatment, plasma ceramic with black ceramic links. Ref. 609.0025.3.010 plasma high-tech ceramic, monobloc construction, polished stainless steel side inserts with hardening treatment, plasma ceramic bracelet. Ref. 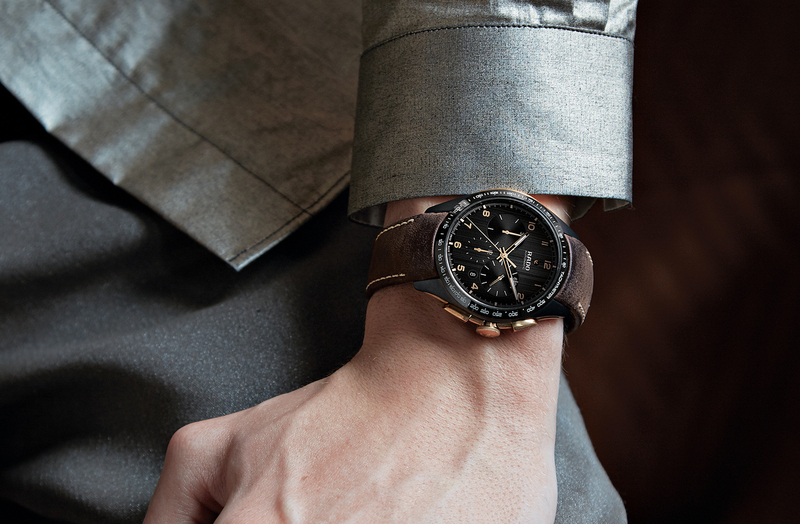 609.0025.3.111 plasma high-tech ceramic, mono bloc construction, polished stainless steel side inserts with hardening treatment, dark brown leather strap.